New Delhi: Accusing the Opposition of running a ‘rent a cause’ campaign against the BJP and Prime Minister Narendra Modi, Finance Minister Arun Jaitley on Saturday said, with no leader, no grand alliance and no real issue, there weren’t many takers for its “failed campaign”. He said the opposition parties had failed to build even a single major issue against the government in the past five years and hence they were picking a different issue every day resulting in a campaign with no running thread connecting what was being said today to what has been said over the last several months. “One day Pulwama [attack] was questioned as self-engineered. The next day Balakot [attack] was questioned as a non-existent operation. The anti-satellite missile was passed off as a Nehruvian contribution even though Panditji’s correspondence with Dr Homi Bhabha established the contrary. One day the BJP is accused of whipping up war hysteria, the other day it is dubbed as pro-Pakistan,” Jaitley said in a Facebook post. “One day the focus would be on the BJP candidate’s educational qualification, fully forgetting that a public audit of Rahul Gandhi’s academic credentials may leave a lot to be answered. After all, he got an MPhil without a Master’s degree! “There is no leader, no gathbandhan [alliance], no common minimum programme and no real issues. Not surprisingly there are not many takers for a ‘failed campaign’. It is ‘Rent a Cause’ campaign,” he said. 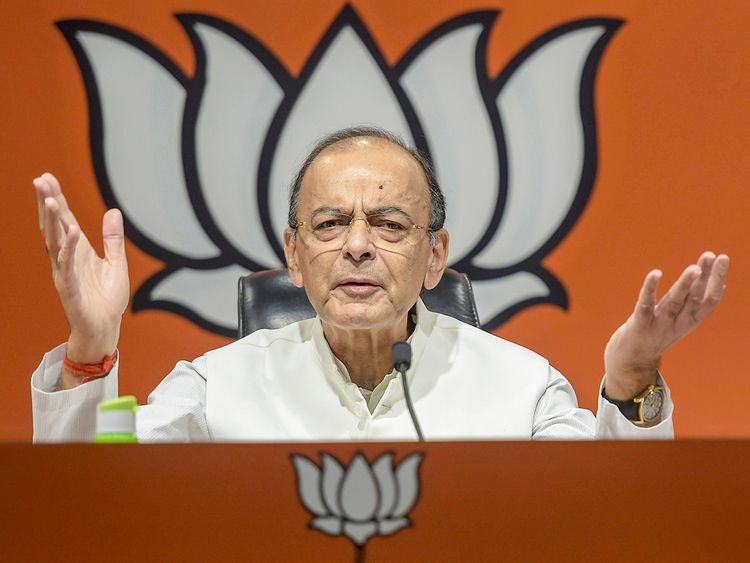 Jaitley said the opposition was now resorting to a new issue every day — be it the “signature campaign propaganda”, questioning Balakot air strikes or questioning educational qualifications of the BJP leaders. “You will always find enough people on either side of the political divide in various disciplines who are willing to sign the memorandum one way or the other. These groups include ‘academics’, ‘economists’, ‘artistes’, ‘ex-civil servants’ and now even some former ‘soldiers’ — many of those whose signature appear have not consented to their signatures been put,” he said.